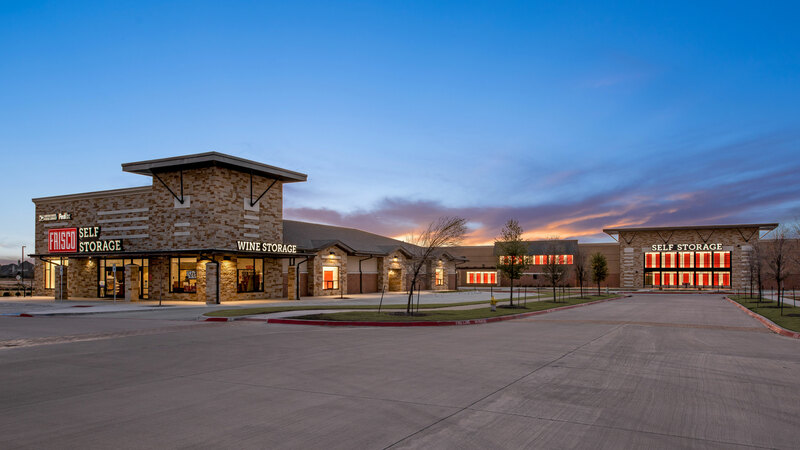 ARCO/Murray recently completed a 116,000 square-foot self storage facility for The Jenkins Organization in Frisco, TX. The new facility consists of two buildings, including 5,000 square-feet of climate controlled wine storage. It also has two vaulted, covered loading areas and a 1,300 square-foot office space complete with a US Postal Service and FedEx shipping center.